The entire trip was fascinating beyond our expectation. We have had moments of our lives. 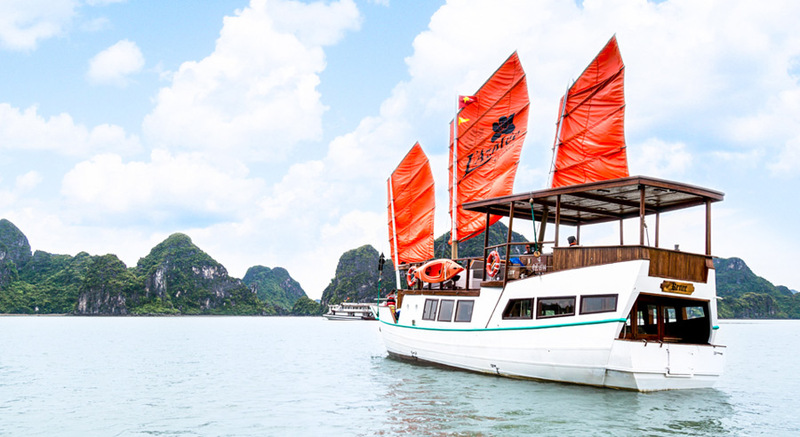 In June 2015, a fleet of 4 new private cruises in Ha Long Bay was officially put into the operation by L’Azalee brand. 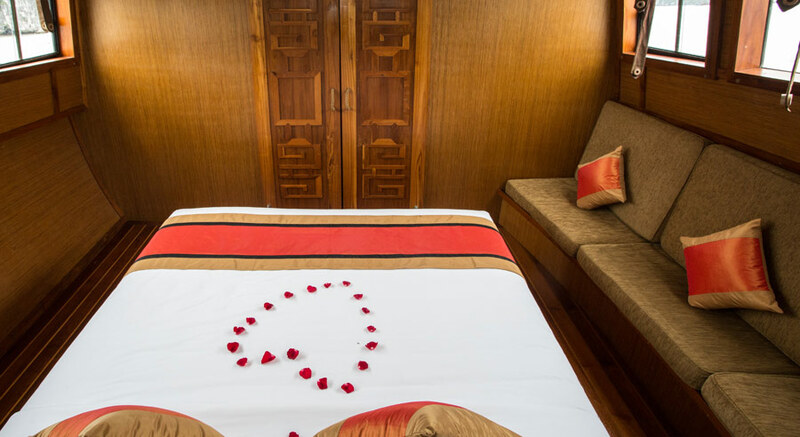 These custom-built cruises were designed to serve couples or small groups in an exclusive and personal way. 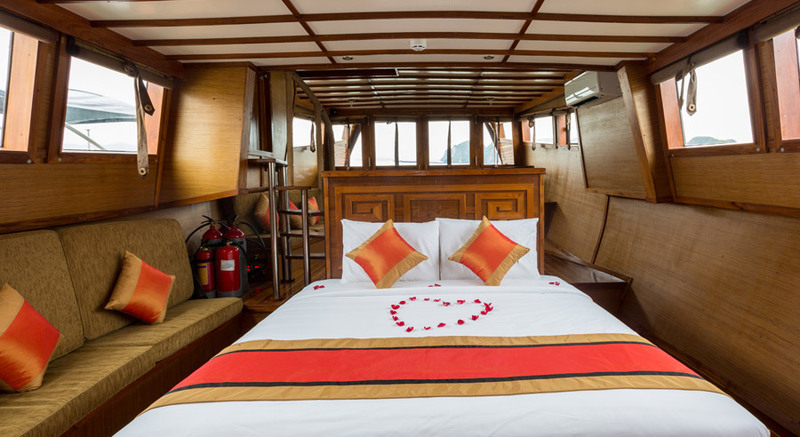 With the accommodation of up to 3 passengers, L’Azalee Private Cruise is an excellent option for tourists to enjoy individual and unique experiences in Ha Long Bay. With the motto “You are a Captain”, passengers on L’Azalee Private cruise are encouraged to plan their own routes and choose their most favorite meals. 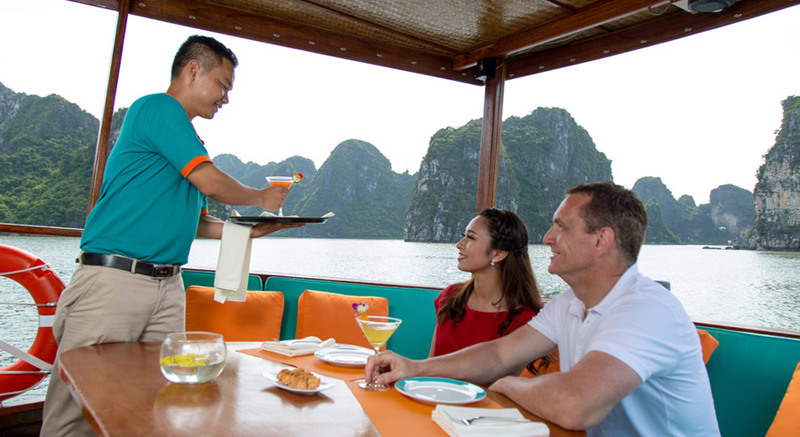 With each private cruise, L’Azalee offers a private butler who is always happy to meet all passenger’s requirements. 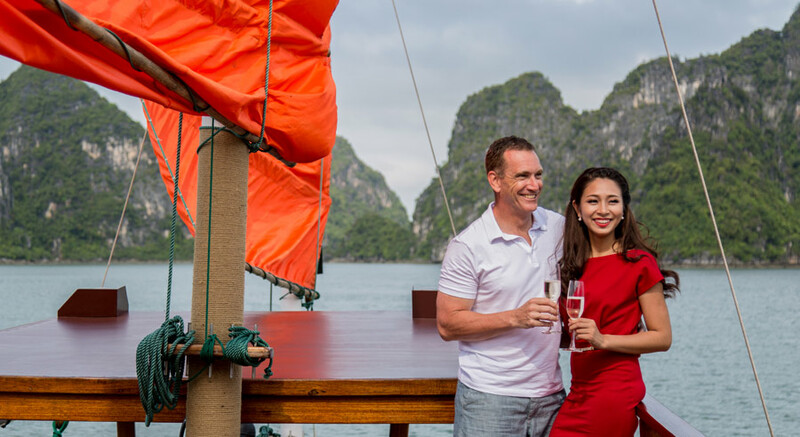 Halong Bay cruise will be one of the most highlighted features in your Vietnam Northern trip with top-class services and contemporary amenities in L’Azalee Private Cruise. 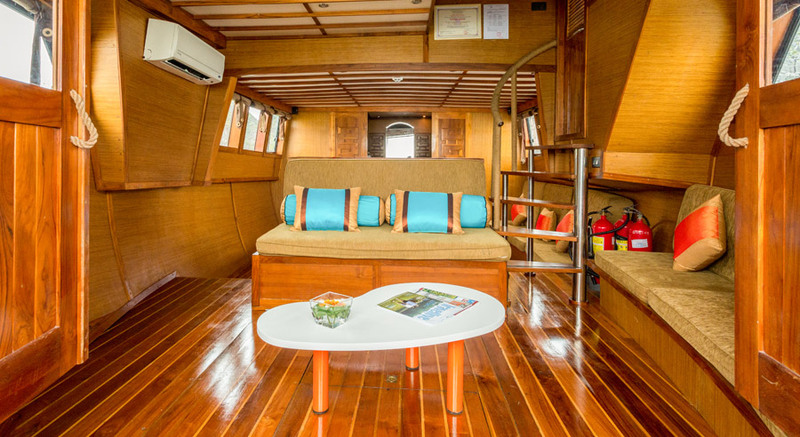 Being used primarily as a charter cruise, L’Azallee Private Cruise has only one cabin with the total area of 32 square meters. 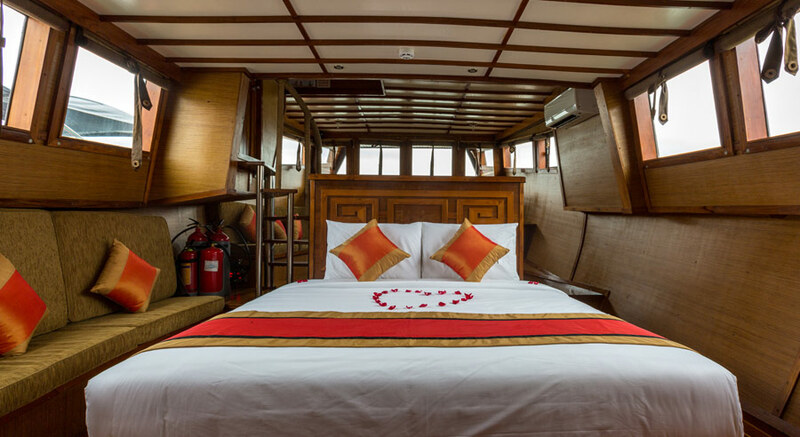 The cabin is well-equipped with modern amenities such as comfortable Queen-size beds, a separate living area with panoramic windows, swim & snorkel deck, en-suite bathroom & shower, air-conditioning & heating, LCD TV & DVD/CD player, safety deposit box, and wardrobe. 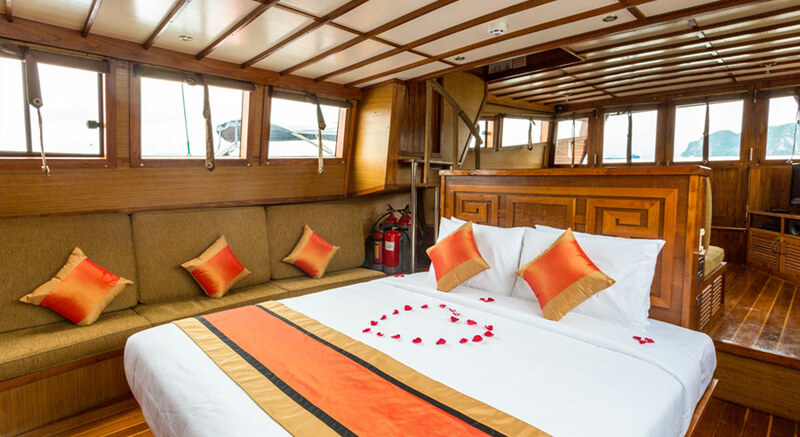 Besides the comfortable cabin, each private cruise consists of a dinning terrace (10 square meters) and a sundeck with sun beds (18 square meters) to provide guests the utmost privacy whilst partaking of Ha Long Bay views. 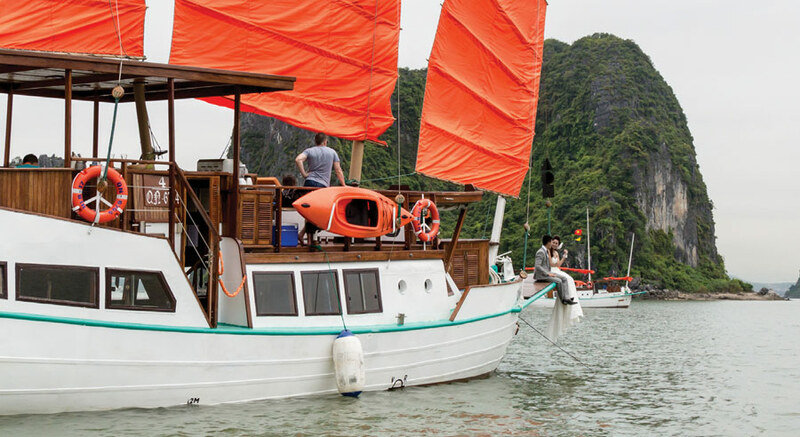 And what’s more, there are two single kayaks on board, so passengers can use at any time to explore picturesque seascapes of Halong Bay. Marks, snorkels, and fins plus fishing rods and hand-reels are available at any time. 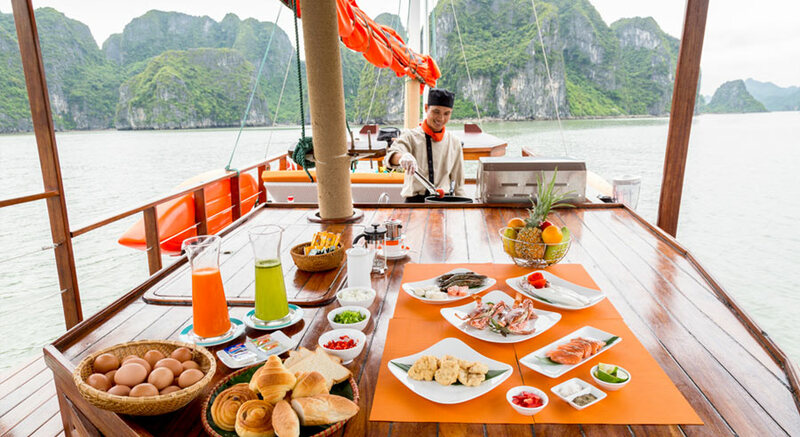 Onboard meals are real delights and every overnight cruise with L’Azalee Private includes lunch, sunset Tapas’, dinner, breakfast, and light lunch (served at L’Azalee lounge). All meals are freshly prepared using the best local ingredients. 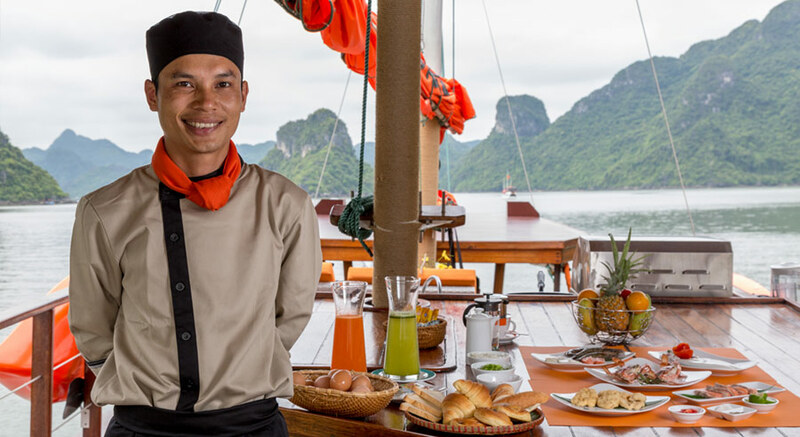 Before cruising, travelers are invited to choose their preferable meals to ensure their best comforts. A wide range of beverages are also available on board. 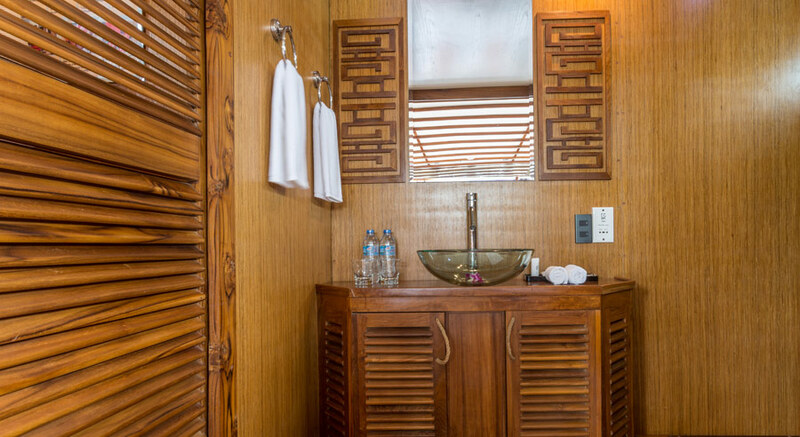 The cruise also offers complimentary soft drinks, selection of juices, mineral water, tea, and coffee. Currently, L’Azalee Private offers three routes, which are 4.5 hour trip, 6.5 hour trip, 1-night cruise and 2-night cruise. 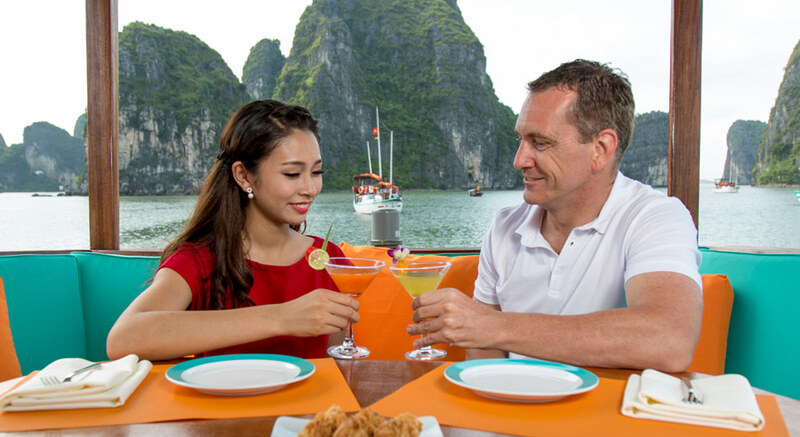 It will be once in a life time experience as the cruise will bring you to visit the most famous attractions in Halong Bay such as Dau Go Cave, Thien Cung Grotto, Ti-Top, Soi Sim, Me Cung Cave, and Surprising Cave. 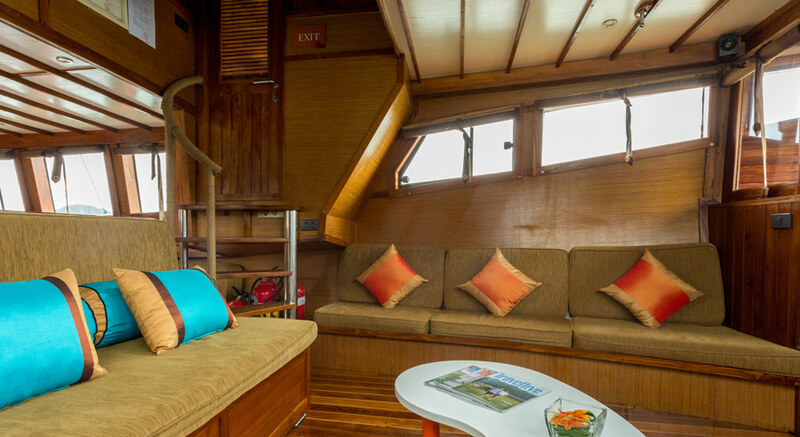 For your relaxation and convenience, L'Azalee Private Charter has the following facilities and activities on board.